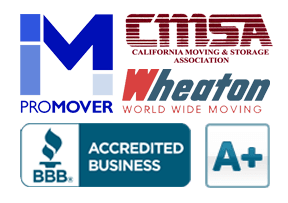 eWaste Recycling in San Francisco Bay Area | Cummings Moving Co.
eWaste recycling is something we ALL have to think about – especially here in the San Francisco Bay Area! Let’s face it, we LOVE our gadgets! But what to do with them when you are done with them? 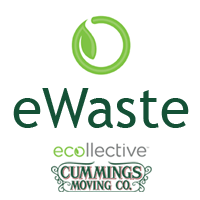 Because all of us here at Cummings Moving Company live and work here in the San Francisco Bay Area, we love being part of the solution – As a partner with Ecollective, Cummings Moving Company can take care of all that eWaste recycling for you! More than just a collection network, Ecollective is the name out in front of ECS Refining, one of the largest and most reputable recycling companies nation-wide. Each ECS location is selected carefully to make certain the facility adheres to the rigid criteria that needs to be met in order to become part of the Ecollective eWaste recycling program. If a device is reusable, ECS Refining performs the necessary value add services before reintroducing it into the market. If a device is not reusable, it is harvested for working parts to be reintroduced into the market. If a device has completely reached the end of its useful life (EOL), it is refined into commodities to be manufactured into new products. 100% of the products we receive are resold or processed to raw materials. Recyclers, enterprises, manufacturers, municipalities, governments, solar companies, and other electronics producers or collectors are safe knowing the ECS will commit to the best, domestic and conscientious processing of your equipment. – Courtesy of Courtesy of ECS website. Because Ecollective is powered by ECS, it is a force in the march to manage this growing eWaste recycling issue. With special attention on state regulation, public outreach and industry collaboration, Ecollective provides us all with a way to doing the right thing re eWaste recycling and the end of service-life for all our gadgets. Here at Cummings Moving Company, we make it easy to handle your eWaste recycling. You have options! As an Ecollective partner we serve as a San Francisco Bay Area drop-off location and encourage you to drop off eWaste recycling during our office hours. A few small things, just drop by while we are open… several large items, it is best to call ahead so we know someone is available and make special arrangements if needed. For significant eWaste recycling you can schedule a pick-up. Please understand that there is a charge for pick-up – dependent upon things like size and weight of items, time and crew requires and mileage. Please call and we are happy to discuss your particular needs. eWaste Recycling – What is Recycled?